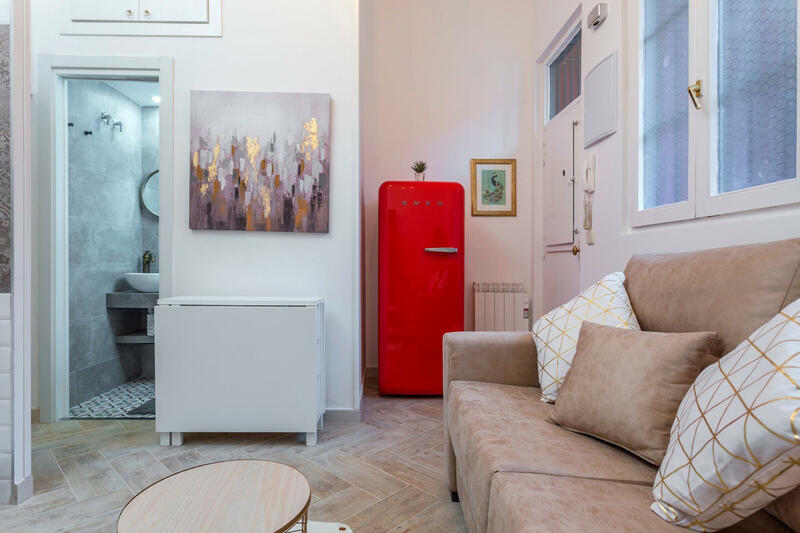 This cozy apartment is located very close to the Atocha station and the most important muses of the city. 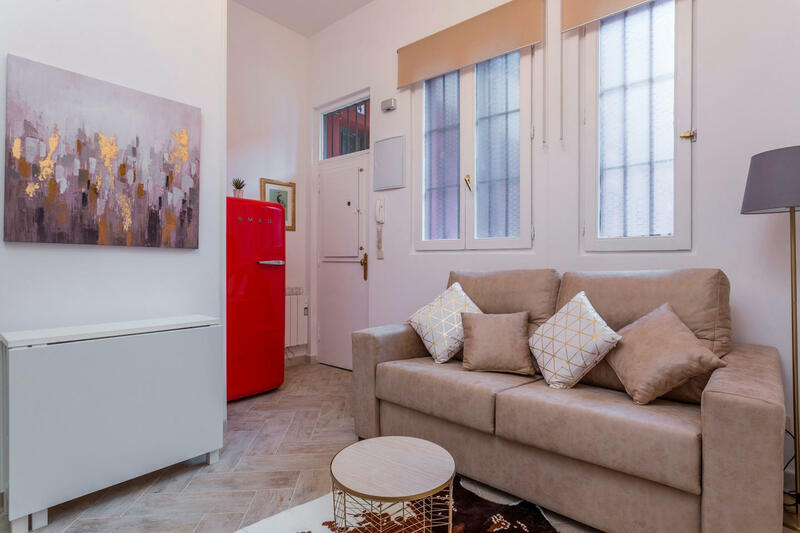 A few steps, tenants can enjoy the Plaza Mayor, Puerta del Sol, the Royal Palace and the famous Mercado de San Miguel. The communications of the zone are unbeatable: metro, buses and taxis allow to explore the city in the fastest possible way. Comfort and style create a unique space, which awaits a couple or four people to offer them the greatest comfort and style in the heart of the capital. 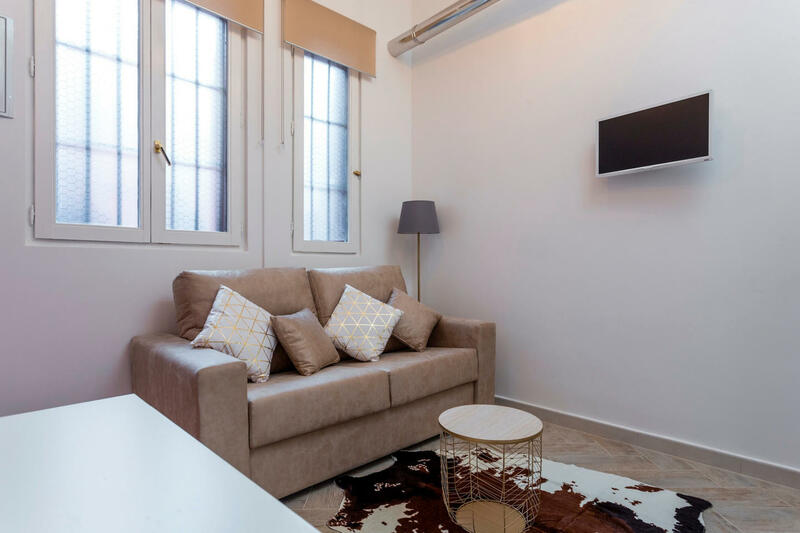 The living room has a double sofa bed, coffee table and flat screen TV. The kitchen has everything you need for both short and long stays. The sleeping area has a double bed.